I first noticed Chocaffinitea (103 Gloucester Road) a couple of weeks ago when I was wandering the North Laines one weekend. It’s such a gorgeous little place, with the most amazing coffee, tea, chocolate & raw desserts. The owners Paul & Heather are so friendly and knowledgeable, it’s fast become one of our favourite places to grab a coffee & chill out with a bit of people watching! A cafe with a conscience, Chocaffinitea aims to change the perception that Chocolate, Coffee & Tea are unhealthy guilty pleasures, instead offering high quality artisan products, baked goods & raw deserts (made by Heather herself each day!) that are full of flavour and nourishing benefits. I’d never had raw deserts before, but the idea of guilt-free sweets sounded too good to miss, so being the greedy girl I am I decided on not one dessert, but a mini platter! The raw platter, pretty and tasty! I was not disappointed by my first raw vegan experience! These were such beautiful desserts and so delicious. The texture of the nut & date bases were satisfying & felt wholesome, & the toppings were rich & creamy. Mango Lassi Cheesecake made from cashew nut cream. Cacao & Coffee infused cheesecake. Cacao brownie infused with orange. Cacao brownie with avocado frosting. My favourite was the mango lassi cheesecake, fresh flavours I had never had before, & the little heart, absolutely gorgeous and melted quicker that any chocolate I’ve ever eaten. 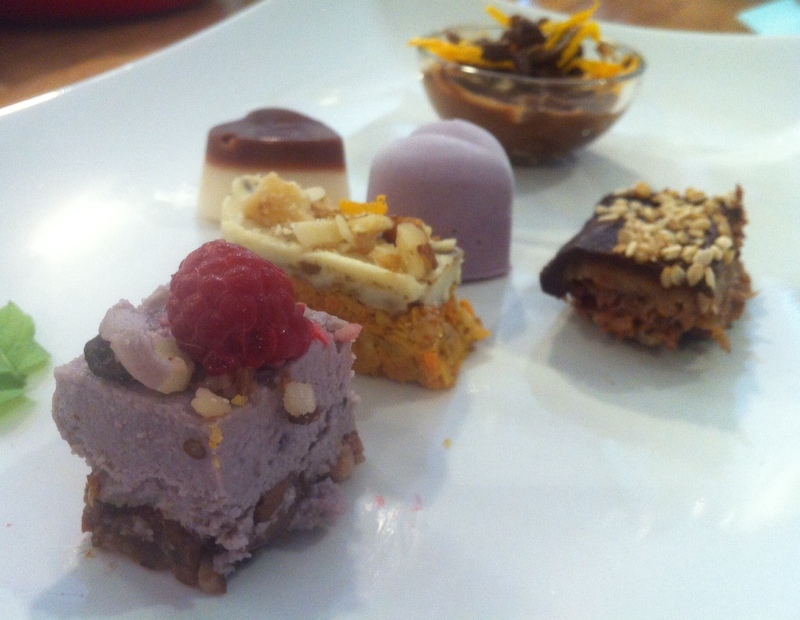 Heather makes all the raw desserts each morning, & will chat to you about the ingredients and recipes. We washed it down with coffee & Madagascan hot chocolate. Chocaffinitea bring in lots of different coffees so you can smell & pick the one you fancy that day, it had such a pure taste we didn’t need to add any milk or sugar – surprising for my boyfriend who always adds sugar to it! I had the hot chocolate, very different from the regular stuff, with a yummy spicy little kick. There’s also tons of great products to buy, soft drinks in beautiful bottles, extensive ranges of tea and coffee, & of course more chocolate – even vegan white chocolate! A selection of Chocaffinitea’s ethically sourced quality single origin chocolate. 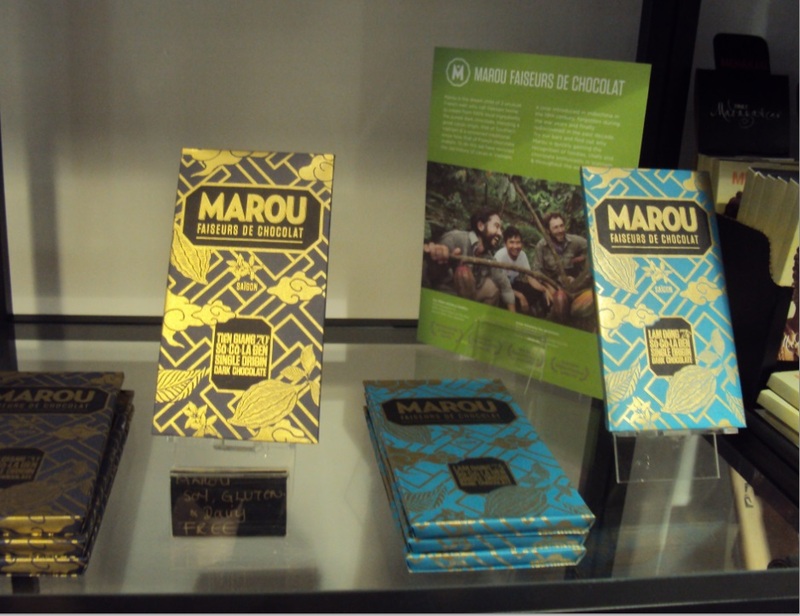 I was drawn to the pretty packaging of these Marou bars – so shiny! So if you are a fan of raw desserts – or like me you haven’t ever had them before, I’d really recommend you pop over to Chocaffinitea and give it a go! 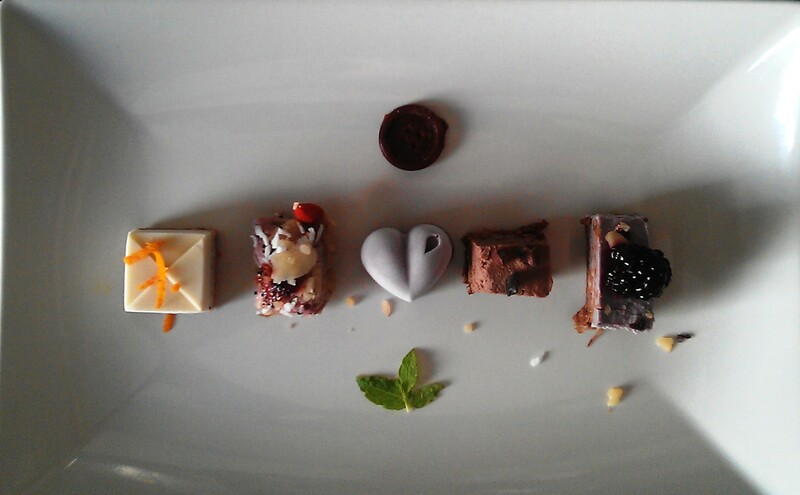 You will meet lovely people and leave with a happy tummy and happy heart – and maybe even a few pretty bars of chocolate! 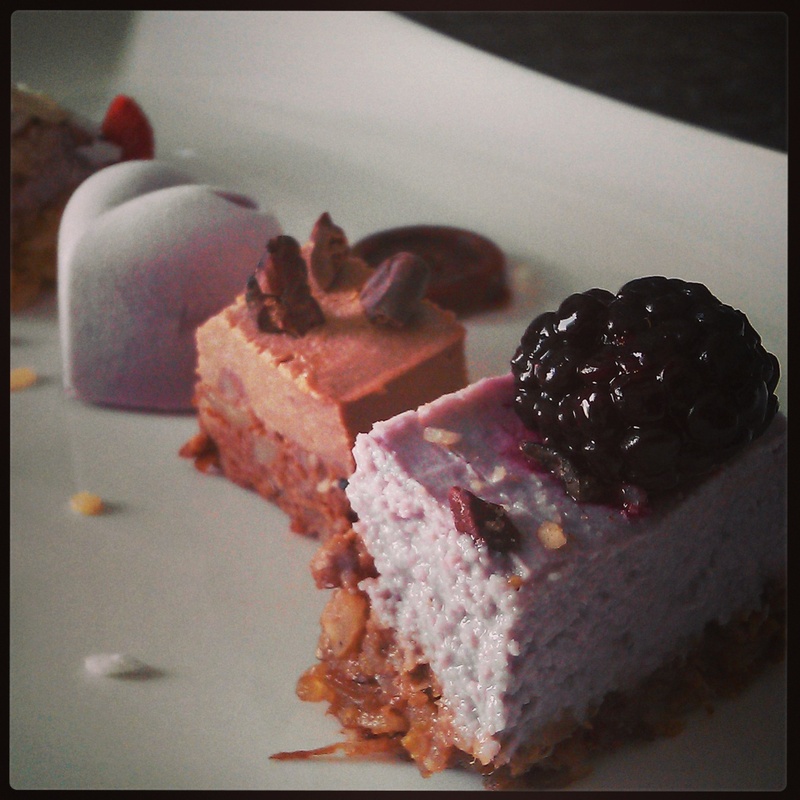 Like my blog or have something to say about raw vegan food? Join me on facebook at katieeatsvegan & on instagram -I’d love to chat to you!